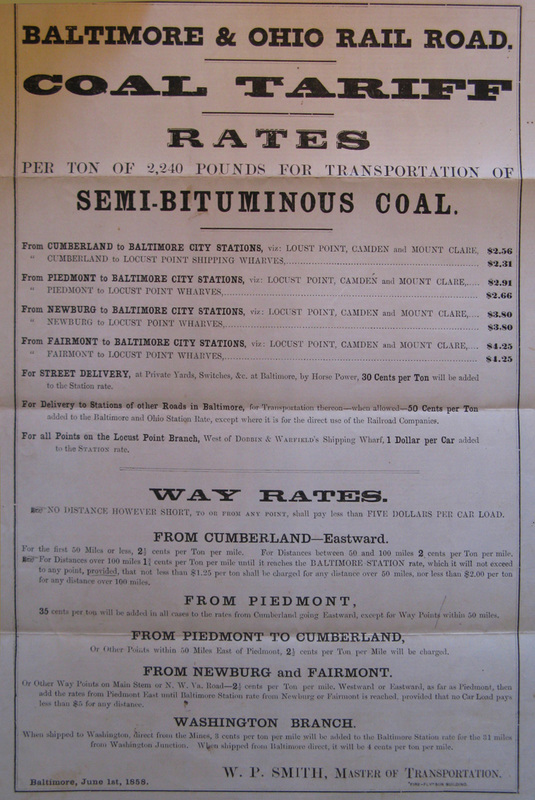 This June 1, 1858 table outlines the Baltimore & Ohio Railroad's coal tariff rates to and from various locations. The B & O set its rates based on a "per ton" weight of 2,240 pounds. Citation: National Archives and Records Administration, Washington, D. C., Box: Record Group 92 1475, Folder: "Lists of Passenger and Freight Tariffs on the Baltimore and Ohio RR, 1857-64"